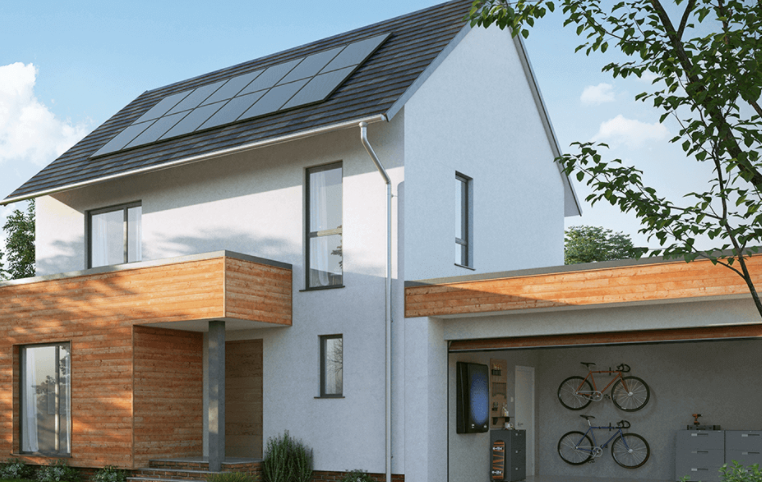 Automotive giant Nissan has confirmed the launch of its home solar-plus-storage product, first revealed in February this year. Speaking to an audience of car industry professionals in London yesterday Gareth Dunsmore, electric vehicle director for Nissan Europe, said that the product would allow UK homeowners to make significant savings on their household bills. Dunsmore also said Nissan’s solution represented a “fresh opportunity” for the UK to expand on its base of 880,000 solar homes. The launch is however behind schedule. Speaking to Solar Power Portal after the product’s reveal in February, Nissan’s Francisco Carranza Sierra said the company expected to start its sales process within "two to three weeks". Nissan’s online sales portal has now been launched using a similar tactic to the one deployed by retail giant IKEA, with Nissan also using the same lead generation service provided by Solarcentury. Customers are invited to provide their details and select which combination of solar and battery storage they would prefer before generating a quote that can then be pursued. Panels are provided by Hanwha Q Cells and LG, and the battery storage system is Nissan’s own xStorage, which it has developed alongside Eaton. System prices start at around £3,800, with more complete systems comprising additional solar panels and storage set to cost upwards of £10,000.